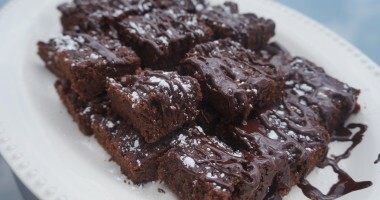 As promised, here is my second healthy recipe that is perfect for Super Bowl Sunday (Go Eagles!! 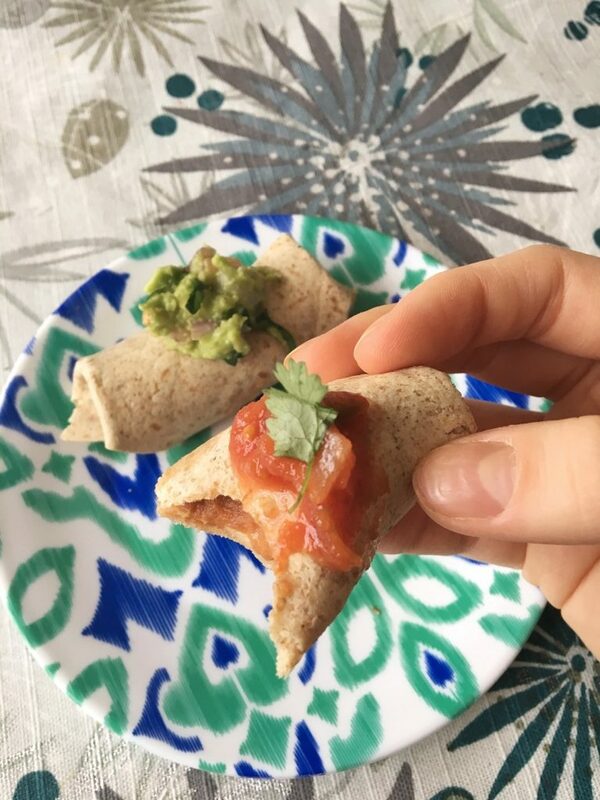 ): Mini Whole-Wheat Burritos! These are ridiculously easy, fast, and use just a handful of ingredients. I was really pleasantly surprised with how well they turned out. They are also really easy to customize to your taste. If you’re vegan, use vegan “cheese” shreds. If you’re not vegetarian and want to add a little seasoned ground beef, go for it. The only thing I would suggest if you are adding beef is NOT to omit the beans. The refried beans have a creamy texture that helps told the burritos closed. I think without them you would have a hard time wrapping up them up. Serve these with whatever toppings you desire! I like homemade guacamole, salsa, or plain Greek yogurt for dipping. Feel free to double the recipe if you’re serving a crowd! 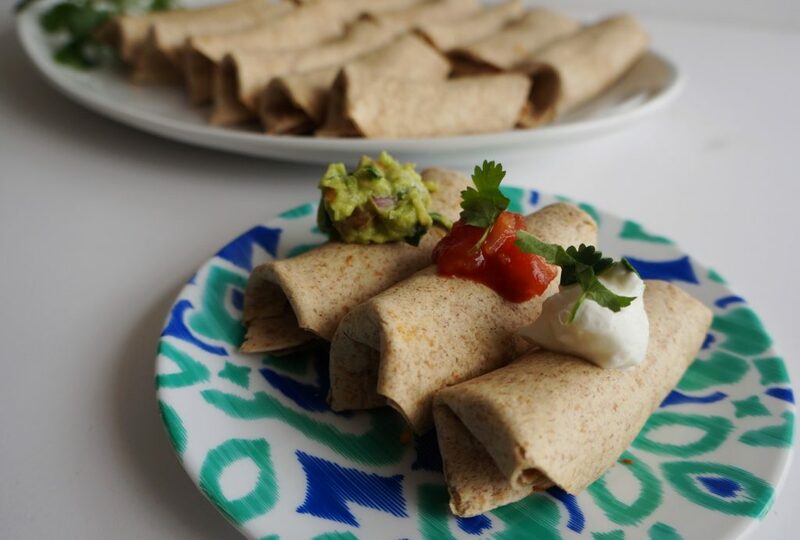 As written, this recipe makes 20 mini (appetizer-sized) burritos- which is a good amount for up to 10 people. Any more than that and I would definitely suggest doubling. 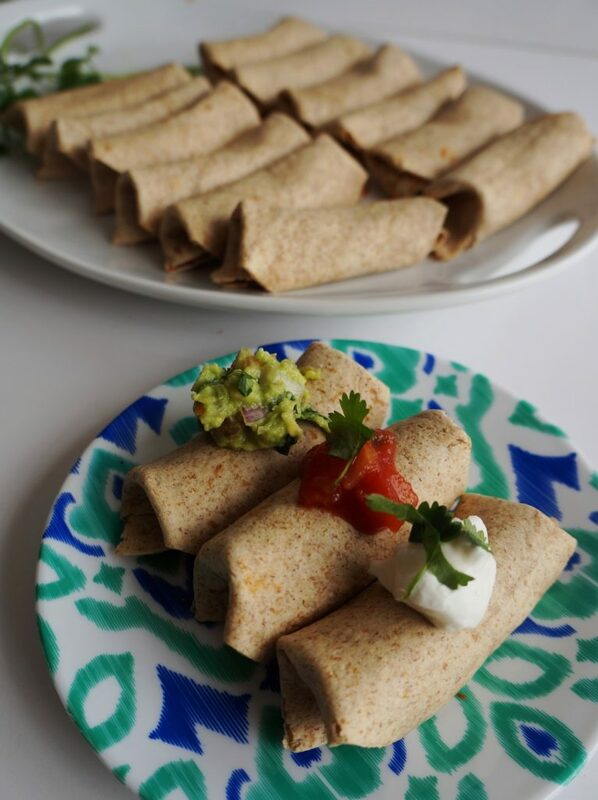 If you make these Mini Whole-Wheat Burritos, let me know what you think by leaving a comment! And be on the lookout for more healthy Super Bowl recipes next week! Preheat oven to 350 degrees F. Line a baking sheet with foil. Set aside. 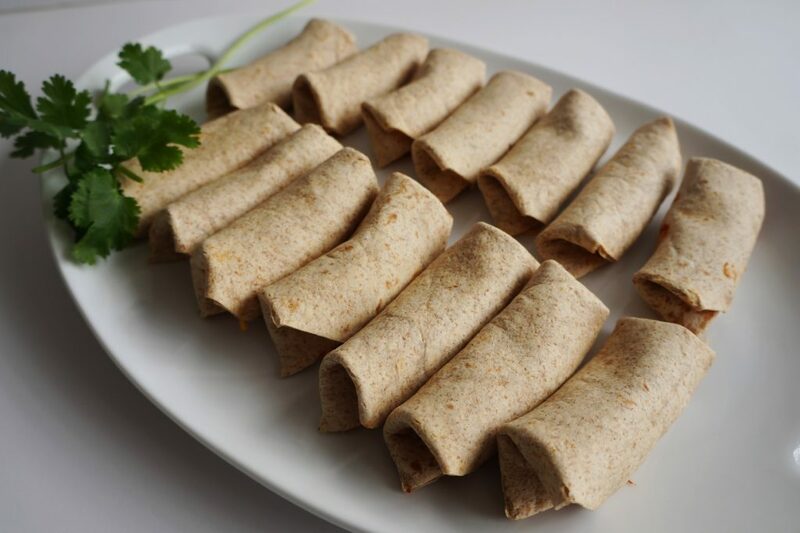 Using a pizza cutter, slice whole wheat tortillas into quarters so that you have 20 triangle-shaped pieces. Set aside. In a medium pot, heat refried beans and taco seasoning over medium heat until warm and creamy. Off the heat and stir in the salsa. To assemble the burritos, place about 1 tablespoon of bean mixture onto the long, rounded end of the triangle. Sprinkle a little cheese over the beans. Be careful not to over-fill or you will have a hard time getting them to roll up. Fold in both sides and roll towards the point. Place each burrito, folded-size down, on the foil-lined baking sheet. Continue with all 20 burritos. Bake in pre-heated oven for 10-12 minutes, or until burritos start to brown slightly and they hold together when you pick them up. 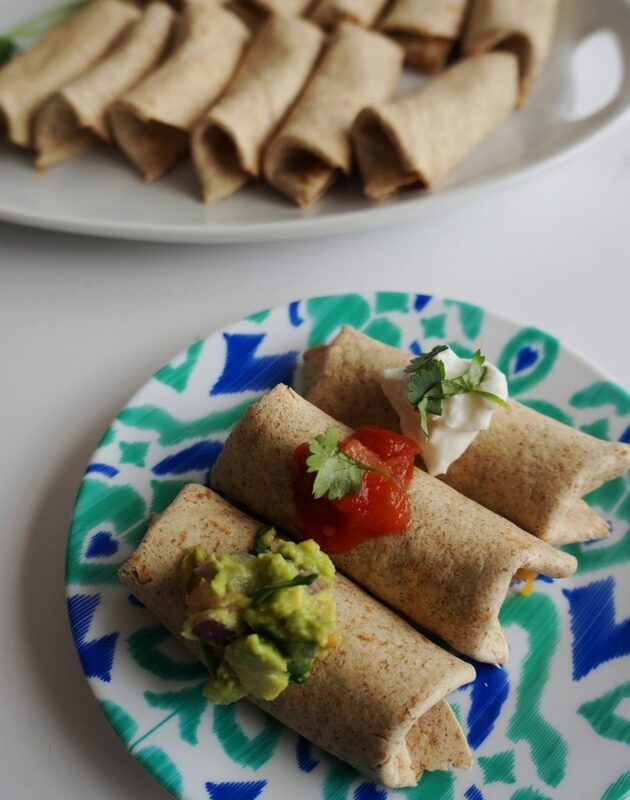 Serve Mini Whole-Wheat Burritos with guacamole, plain Greek yogurt, and/or salsa.